The Zwentendorf Nuclear Power Plant in Austria was completely built but never put into operation. Reactor supervision and decommissioning is one important operational area for robots in the RN domain. There is significant potential for the use of unmanned vehicles in scenarios involving radiological and nuclear (RN) threats. The European Reference Network for Critical Infrastructure Protection (ERNCIP) has therefore established a thematic group on the protection of critical infrastructure from Radiological and Nuclear Threats (RNTs). Lessons learned from incidents such as Fukushima and Chernobyl, as well as from decommissioning of old nuclear power plants, show that robots have certain advantages. Robots can operate in areas with high radiation, danger of explosives, for example Boiling Liquid Expanding Vapour Explosions (BLEVE), collapsing structures, Improvised Explosive Devices (IED), booby traps, aggressive chemicals (e.g. Chlortrifluorid) and extreme heat. Additionally, they can manipulate the environment and take samples. Robots can also be used for long-time surveillance of contaminated areas and for monitoring the movements of a threat using real-time data from mobile sensors. 3D infrastructure mapping (situation awareness & assessment). Possible applications for robots in the RN domain: taking samples of potentially hazardous materials (left) or measuring and searching for radiological and nuclear sources (right). Another important finding was that no standards, best practices or norms for sampling or taking measurements with unmanned systems have been systematically developed thus far. Therefore, a first set of potential standards for unmanned systems in RN measurement scenarios was compiled. A widely accepted standard collection of frameworks for robot software development is the Robot Operating System (ROS). Further important standards concerning communication with robots and control of unmanned systems are the Battle Management Language (BML), InterOperability Profile (IOP) and Joint Architecture for Unmanned Systems (JAUS). Furthermore, there are efforts for standardisation in the International Electrotechnical Commission (IEC) regarding international standards for RN measurements with unmanned systems. The results of the ENRCIP RNTs group pointed to an inherent need for a practical element shaping and enforcing the standardisation process in the robotics community. Unfortunately, it was also obvious that there is currently little to none interest of the academic robotics community in the RN field. There is, however, an effective means to address large robotic communities: the field of robotic competitions. Since robots usable in RN scenarios most probably have to be outdoor/off-road systems, the RNT group, thus, decided to set up an RN scenario at a popular outdoor robotics competition. The group also identified a huge gap between what the R&D community is able to deliver, the existing industry state of the art and the user requirements (if properly determined). This includes the complete absence, non-observance or non-compliance of standards, best practices and norms. Naturally, the R&D community does not have a focus on standardisation, manageability, sustainability, robustness or reliability. Again, robotic competitions can be used as method to bring together users, academia and industry. The users can visualise their needs in the form of real world scenarios to be tackled by the R&D community and industry. At the same time, the industry is able to mingle with the R&D community. Thus, a constructive way to push forward unmanned systems in RN scenarios might be the utilisation of trials and challenges. The European Land Robot Trial 2016 took place in Eggendorf, Austria. For the first time, a RN task with real radiation sources was included and attracted robot teams from all over the world. In 2016, the European Land Robot Trial (ELROB) was hosted by the Austrian Army in the Tritolwerk in Eggendorf. The Tritolwerk is an old ordnance factory, now used for CBRNE training and training for emergency services. 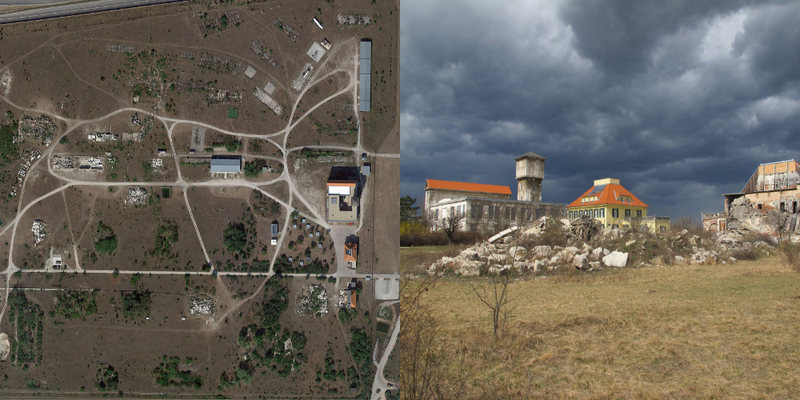 These premises gave the perfect setting for a very special scenario: Reconnoitring of urban structures with a focus on radiological and nuclear measuring and mapping. This was the first real world live scenario with strong radiation sources (Co60, 2,8GBq each) on a robotics competition ever! The task involved detecting an unknown number of hidden radiation sources. The robotic systems had to measure the radiation, display measurements to the operator, acquire imagery and mark the sources in an online-built map representation. Ten teams participated in the scenario. Since this was the first try of such a scenario, the expectations were curbed. However, the teams performed reasonably well, and most presented RN readings. It turned out that many teams did not have enough background knowledge on radiation detection to produce suitable results. Based on these circumstances a new robotic trial, the first European Robotics Hackathon (EnRicH) was created and will take place in June 2017. The scenario at EnRicH is inspired by the radiological reconnaissance task at ELROB 2016 and has a similar setting, indoor search for radiation sources and 3D mapping, but with an additional manipulation task. The event will be accompanied by a R&D workshop which is planned and conducted by the ERNCIP RNTs task group. The workshop has a focus on standards for unmanned systems in the RN field of application. 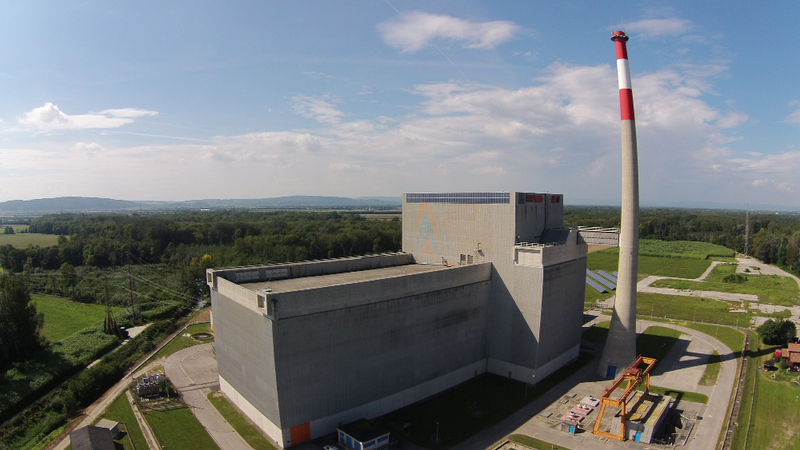 The EnRicH hackathon will take place in the inoperative nuclear power plant (NPP) in Zwentendorf, Austria. The boiling water reactor of NPP Zwentendorf has been fully completed but never put into operation. In Zwentendorf areas are easily accessible which in other NPPs can only be visited under severe difficulties. In an active nuclear power plant extensive safety precautions are needed for human personnel due to the high level of radioactivity. Instead, in the NPP Zwentendorf engineers have transformed the plant and turbine halls into a training centre. Repair and dismantling measures but also critical incidents and disaster scenarios can be trained under realistic conditions. Naturally, a nuclear power plant contains areas which cannot be safely entered by human personnel on one hand, due to inherent radiation like in the reactor building, and on the other hand due to technical problems or accidents leading to an unpredictable and uncontrolled radioactive contamination of parts of the plant. In any case, a robotic system doing an exploration of the scene would be helpful. This is the basic setting for the newly created European Robotics Hackathon. In EnRicH, the exploration task consists of three sub-tasks: first, a digital 3D map of the area of interest has to be built; second, radiation and its sources must be detected, measured and marked inside a digital map; and, third, if a system is equipped with a manipulator device, some radioactive material has to be handled. All collected information has to be passed on to a reach back team for further evaluation. The interior of the Zwentendorf Nuclear Power Plant provides the setting for the first European Robotics Hackathon (EnRicH). Robots will have to build a conventional 3D map of the scene, measure and map radiation sources, and manipulate hazardous material. During the trial, major challenges are waiting for the participating systems and teams: First, severe mobility problems are caused by the typical interior of a power plant with elements like low or no light, closed doors, dead ends and blockings, sharp turns or steep stairs. Second, major difficulties for any kind of communication approach can be expected due to massive concrete walls and metal interiors. However, as a fall-back solution the organizers provide a standard wireless communication infrastructure for the teams. And, finally, due to the active radiation sources inside the scenario nobody will be allowed to accompany the robots, making robustness an essential prerequisite for the systems. However, the scene will be equipped with cameras, allowing some basic supervision for the operators from outside. Hence, the problems of robots in hazardous operations and emergency response, especially when involving RN components, are diverse. Trials like ELROB and EnRicH reveal many remaining technical challenges, such as communication, sensors, situational awareness, mobility/locomotion and robustness, which often accrue from the fact that these systems have not been used and tested enough. There are still a lot of lessons to be learned.